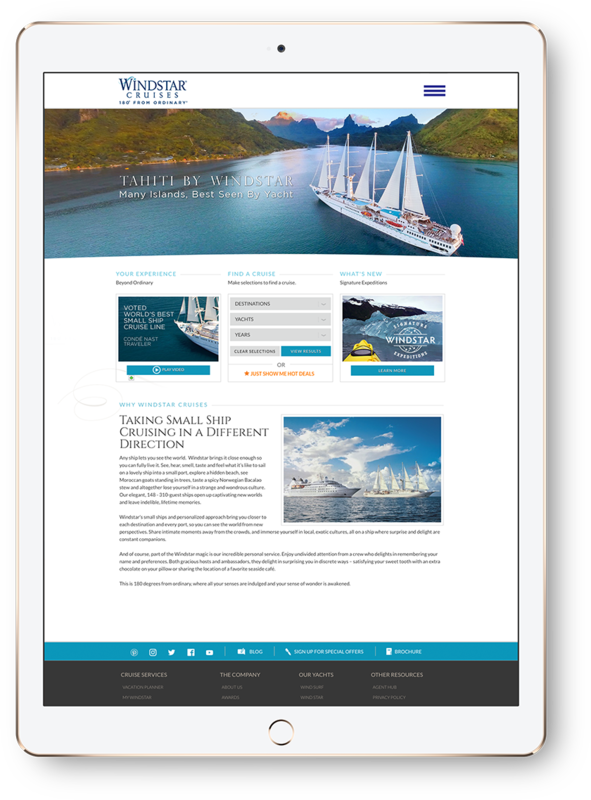 Voted the world’s best small ship cruise line by Condé Nast Traveler, Windstar came to Hey to create an irresistibly engaging digital marketing eco-system to sell their Tahiti voyages and to capture what makes their brand “180º from ordinary”. The video, shot in three camera formats, including cost effective GoPros mounted to Phantom 2 Drones, captured the islands from an aerial perspective on a down to earth budget. 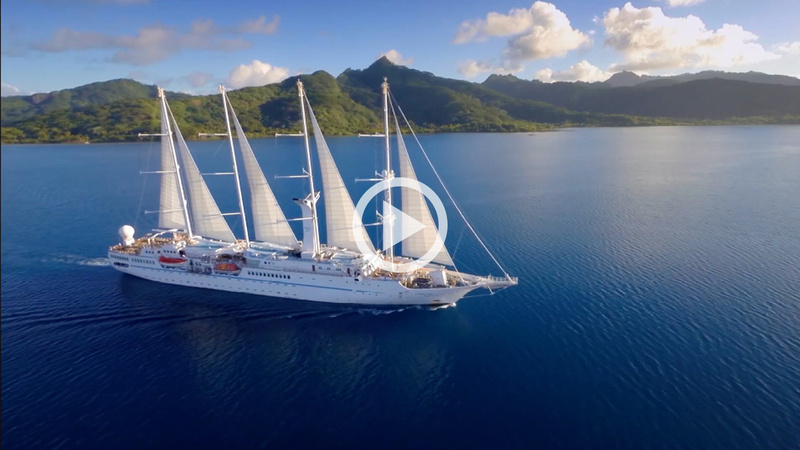 Capturing the human experience, sweeping by and flying through and around as guests frolic in the water, paints a magical picture of Windstar’s unique offering. 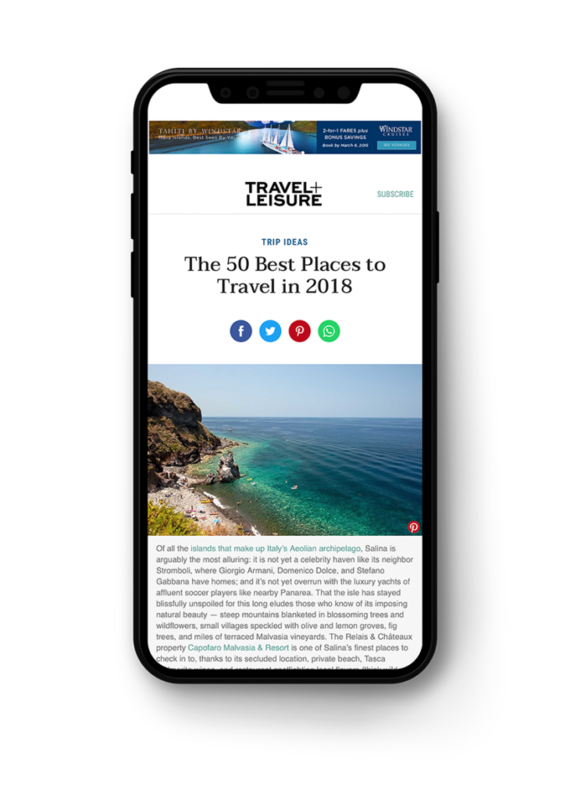 And raises the bar for visual marketers in the travel, resort and hospitality industries. 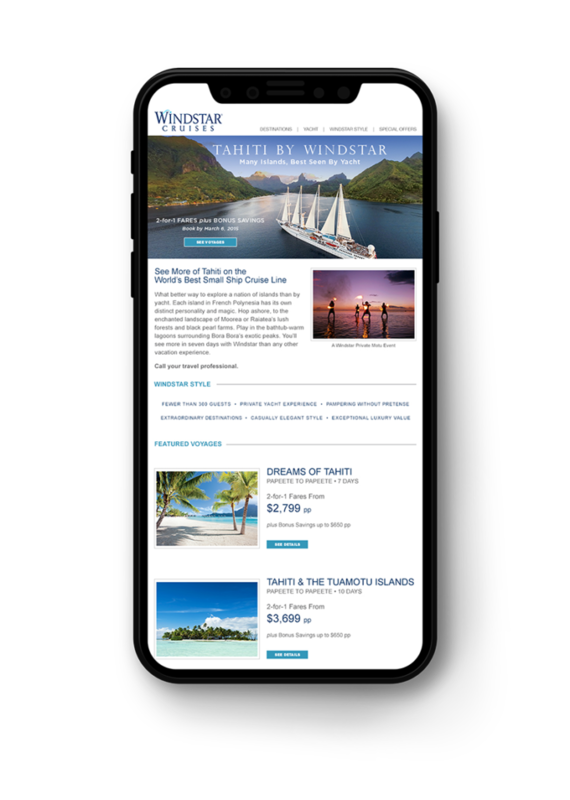 Digital display and rich media units targeted to the cruise consumer drove traffic to a Tahiti landing experience on Windstar’s site.